Very nice stable @Chuckk, but that's quite a variety of sizes. By the way, I'd love to see any more XR800's, or XS800's with the HeadShok, especially in the 1998 Viper red. They seem rare as hen's teeth. Last edited by Darth Lefty; 11-07-15 at 03:45 PM. Have had a '87 56cm hanging in the shop for a couple years now. 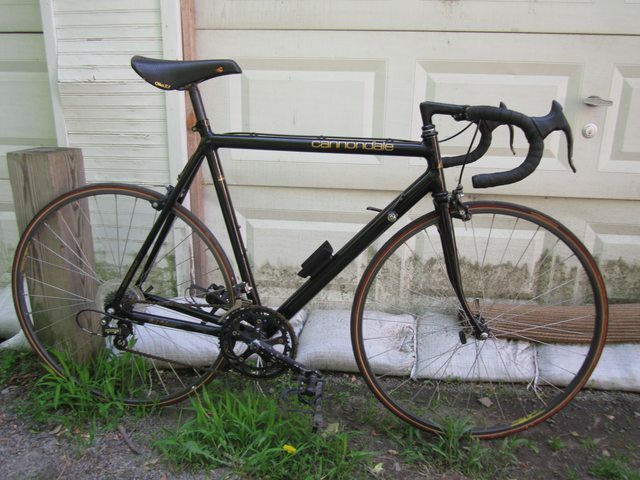 Still haven't done anything to clean it up (been meaning to PC/strip and anodize/replace the crankset, otherwise she's a ten …. (@ 10 feet)), but it appears nearly 100% as delivered. 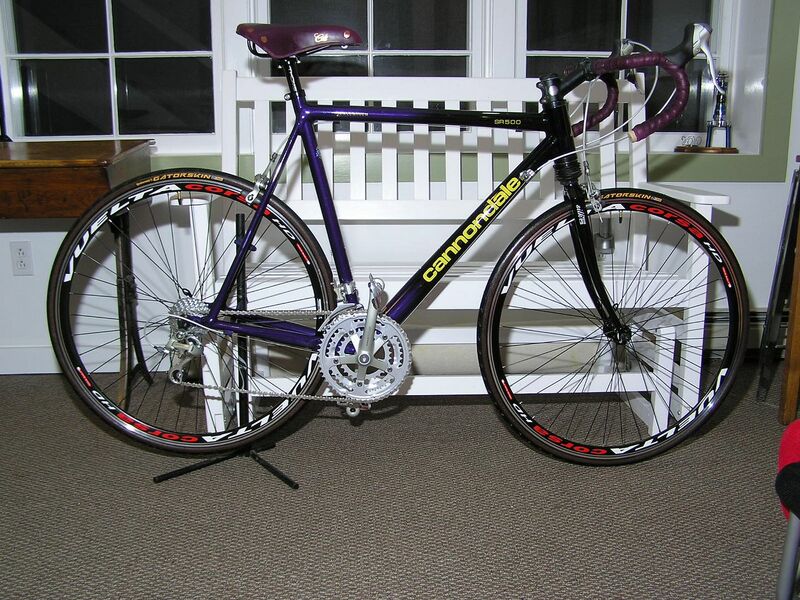 Has anyone among the C&V faithful tried to anodize a forged crankset? I have the capability at work, and have been meaning to play around with something with as much surface area as a crankset, but ~reasons. Last edited by pastorbobnlnh; 11-08-15 at 03:57 AM. 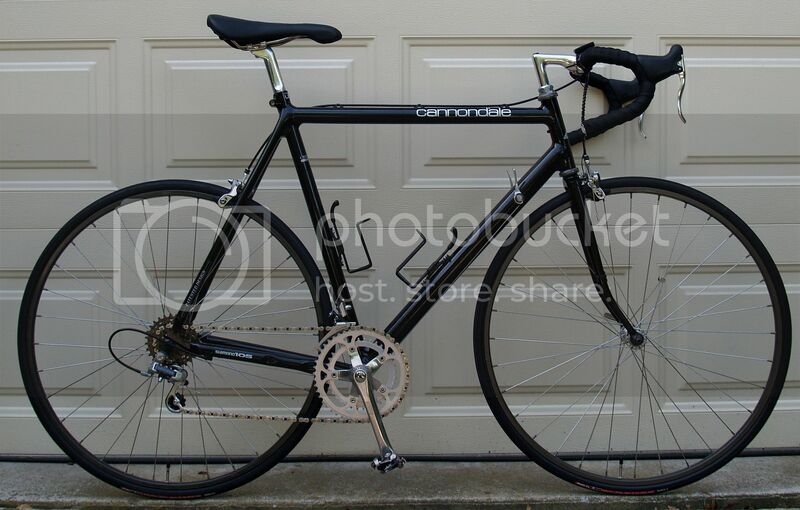 Bikes: Cannondale SR400 (3.0). Phat t00bs! N00b checking in with my '91 SR400 work-in-progress; please pardon the wrong-side photo and inherited flat-bars & junky saddle. Let's limit this thread to Cannondale's at least 10 or more years old. OK then. I don't often get authorization to post my 2000 CAAD3 R600 so this is OK. All 105 and Ultegra and a '95 Vetta TT Trishock saddle. You'll see that its got it's winter (Guy Fawkes Day to Queens Birthday) luggage rack on the rear. I made this from splints of cherry and a bit of sitka spruce so it's real light but is a place to lash an extra layer if needed, a rain coat if I'm worried or a place to lash a layer I've shed since they day warmed up. He was climbing trees this morning (granny gear triple up front) when I snagged this shot. I have the same bike. Put some 700c wheels on with 32mm tires and long reach calipers. Love it. Shoota, I did not realize you became an Cannondale mostly/only owner or is your signature out of date? The 27" X 1 1/4" are plush enough. I can even put up with the rock hard saddle on it. 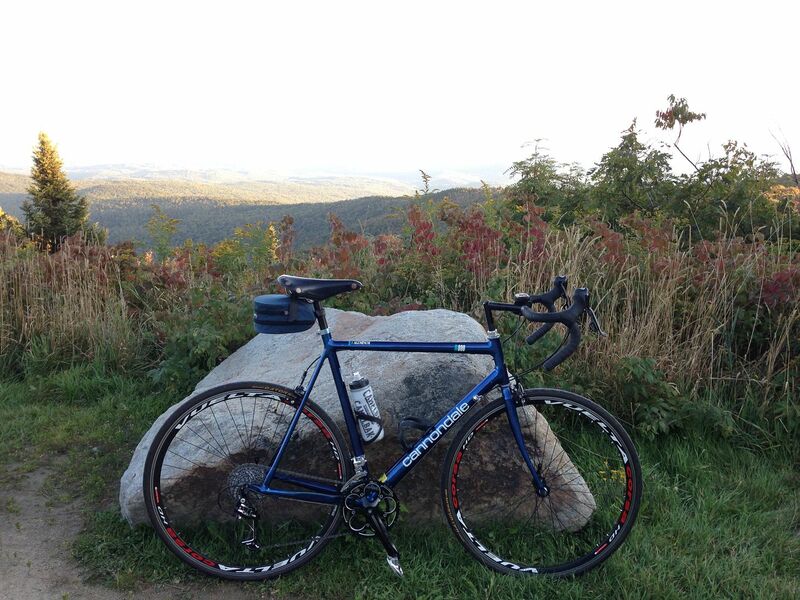 One day I will get this bike up to the ADK for it's permanent home. No need for a triple crank in SE Michigan. I have a 1985 Prelude (27" tires) and a 50th Anniversary Paramount awaiting me in West Palm Beach! I will export the Paramount north and leave the Prelude to ride in the PB area. Last edited by oddjob2; 11-08-15 at 08:15 PM. Nope it's up to date. 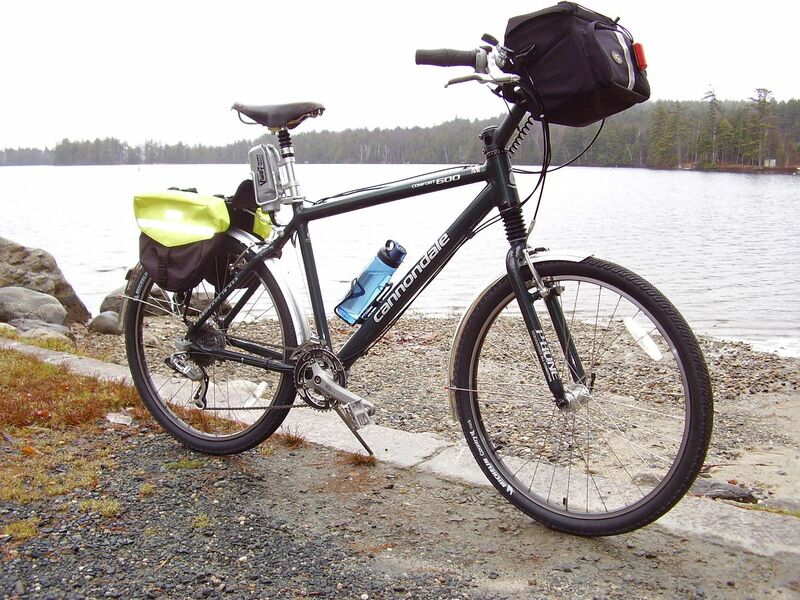 Love my cannondales. My 93 H400 is half taken apart with plans on getting it powder coated metallic black and be my bootleg gravel Black Lightning. I have everything either physically or ordered and just waiting for it to arrive. I'm really excited for this build! Out of all my bikes this old $20 H400 frame has gotten the most use this past year. So I'm treating her out and she's getting a joan Rivers facelift. Lol. 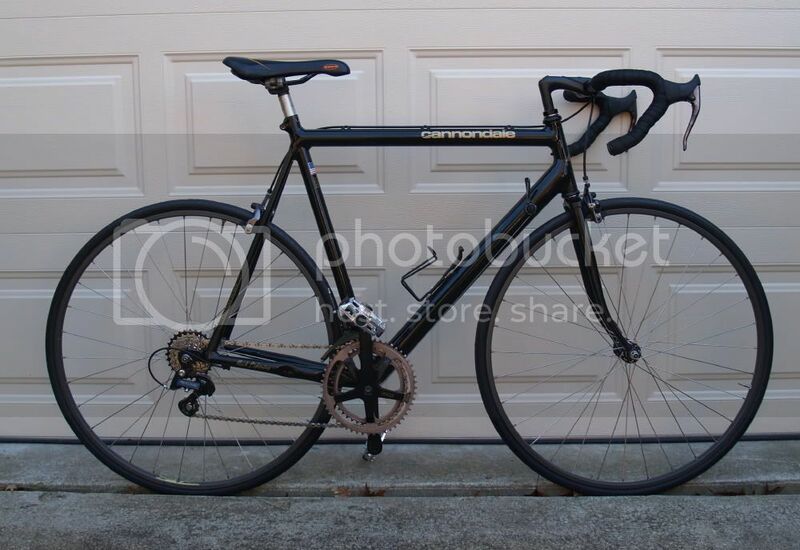 My used & abused first Cannondale from back in my racing days. 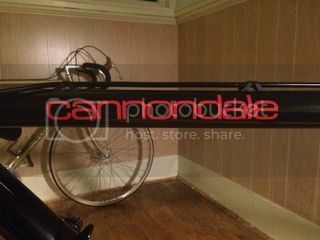 With early prototype Cannondale Aluminum fork. Currently running more modern parts than the original Campy NR. 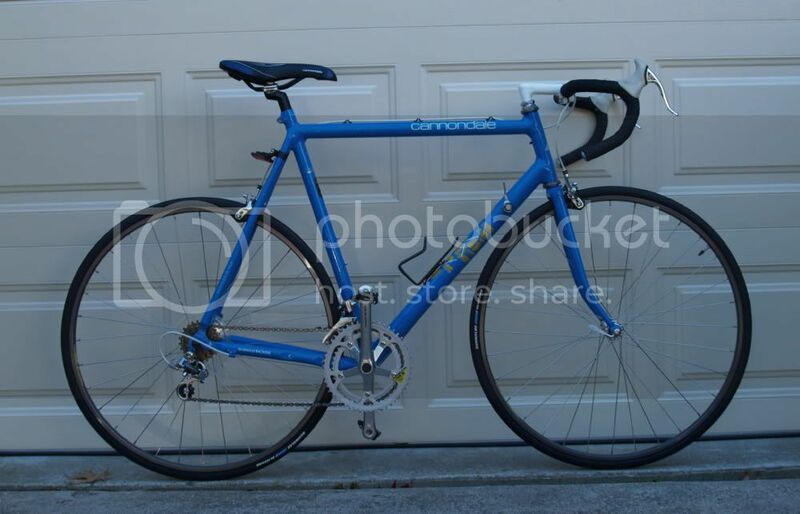 My son's riding it now as his first road bike, hence the lack of drop for now. Broke the RD hanger in a race, and welded a new one on. Last edited by Homebrew01; 11-08-15 at 09:57 PM. I just finished cleaning up my '94 R600 for my wife. The only thing yet to be finalized is the saddle… For now it is wearing a stock C'Dale saddle that was sitting on the parts shelves but I am taking the wise advice of other BF members who recommend she go to a good shop to be sized for a saddle. 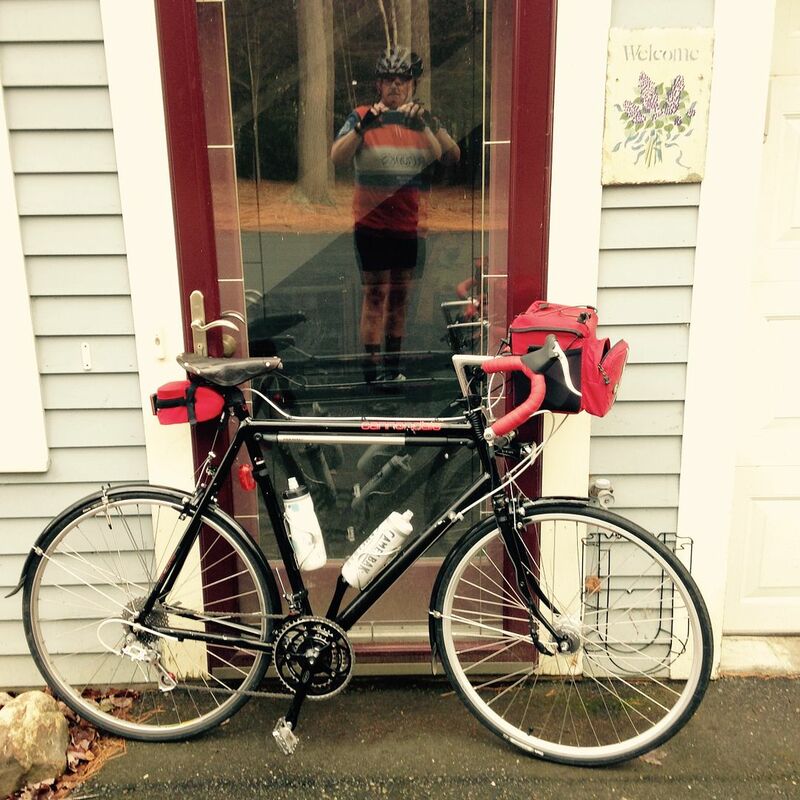 This is her first stab at riding a road bike with clip less pedals and with brifters. She is quite excited for spring (she is not interested in riding in the cold with me). 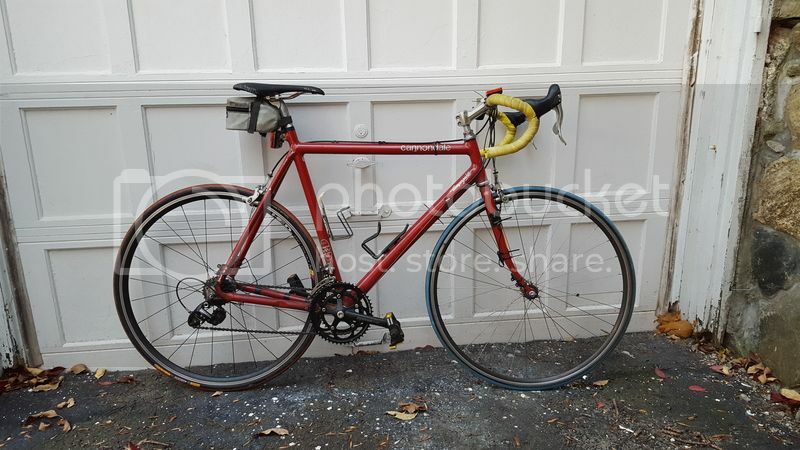 @pastorbobnlnh Actually it is a full 8 speed Campagnolo groupset minus the 105 brake calipers. The crank is the original has the original 52-42 chainrings with the Campy 8 speed cassette which I believe has a high cog of 26t. One day I may have to make the switch to a more compact crank for her but for the near future this should work fine. Thanks for the vote of approval! Last edited by greg3rd48; 01-12-16 at 10:47 AM. @greg3rd48 very sharp looking. 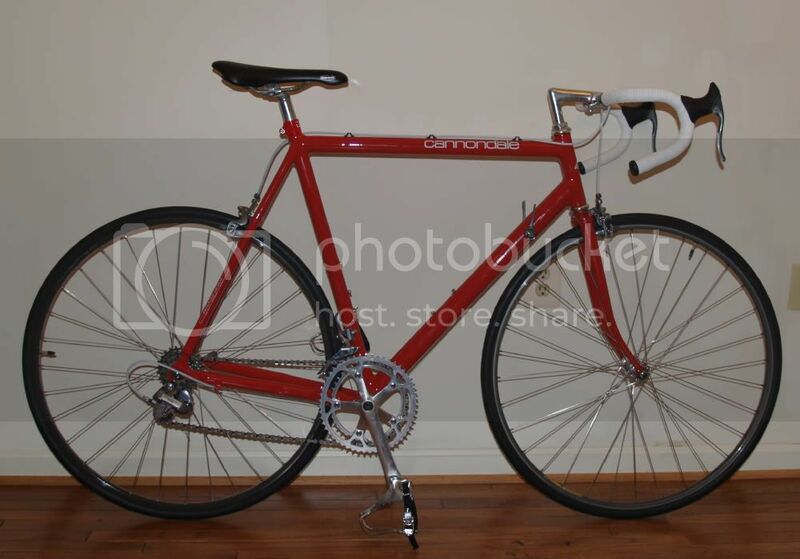 Looks as if you are mixing Campagnolo Ergo shifters with a Shimano drive train. Am I seeing this correctly? How is the shifting? 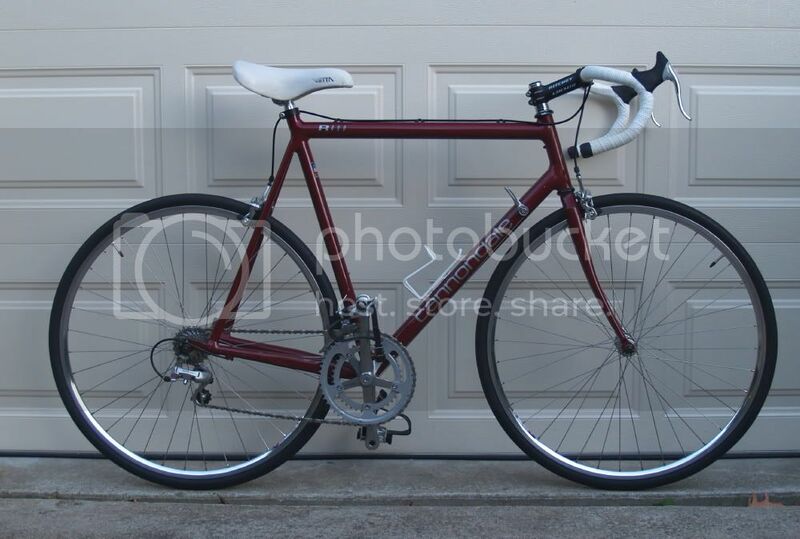 My '93 R600 came with very race oriented Shimano 105, which is long gone in favor of a more hill climbable 50-34 compact cranks and 11-34 cassette! 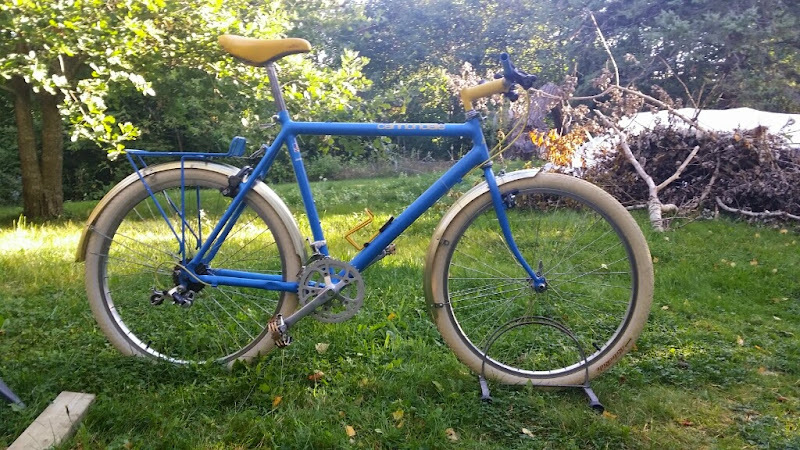 Adding to this thread, I recently rebuilt my '88 ST 400 frameset with a mix of bits and pieces that I've had for a while. Vintage Shimano fingertip barcons are operating the modern Tourney FD and Deore RD on an 8 speed 11-34 cassette and a 50-39-26 Cannondale crankset. The brake calipers are Paul centerpulls mated to generic Tektro levers. 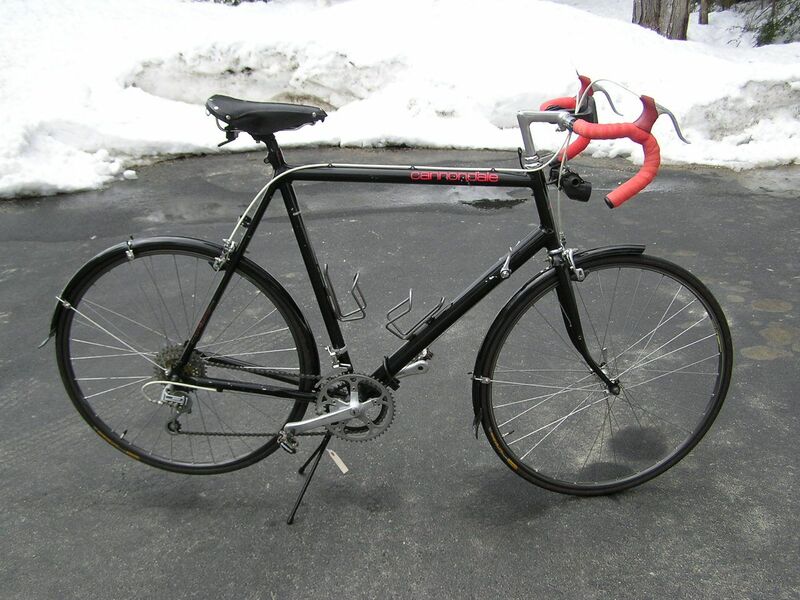 The stem is a Nitto with Schwinn Rando bars. 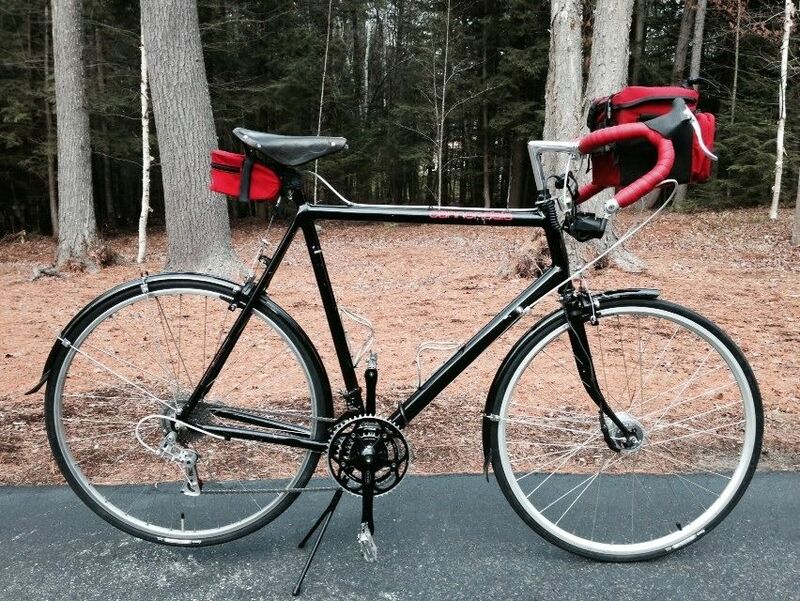 The saddle is an old Ideale. The front wheel is a Shimano Dynohub and the rear is the original 105 from my '93 R600. It has been a blast to ride this winter. 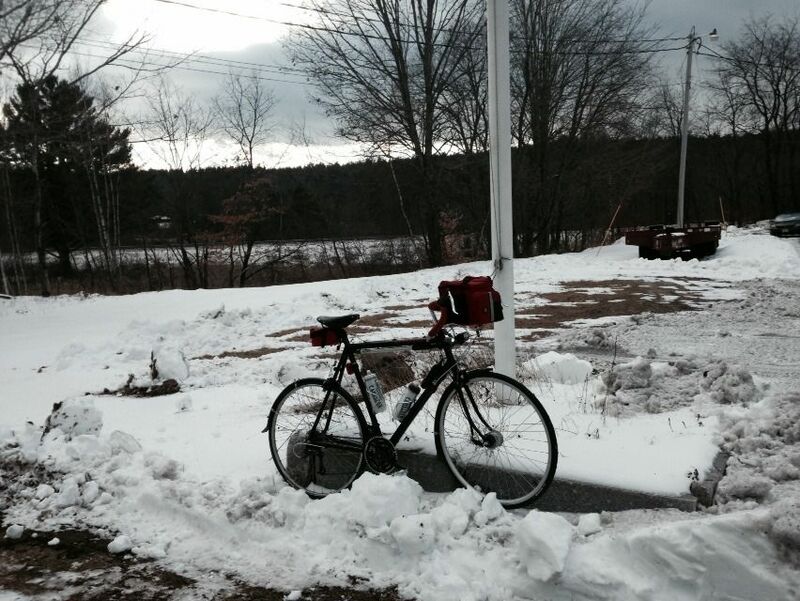 First picture is from my Christmas Day ride in shorts and short sleeves. The second picture is from the ride this past Friday. A bit colder! Saddle's been changed and it has Open pro's on DA hubs on it now, but otherwise I just ride it a lot. Bob, Your '88 ST is one of my favorite builds. Bikes: You mean this week? 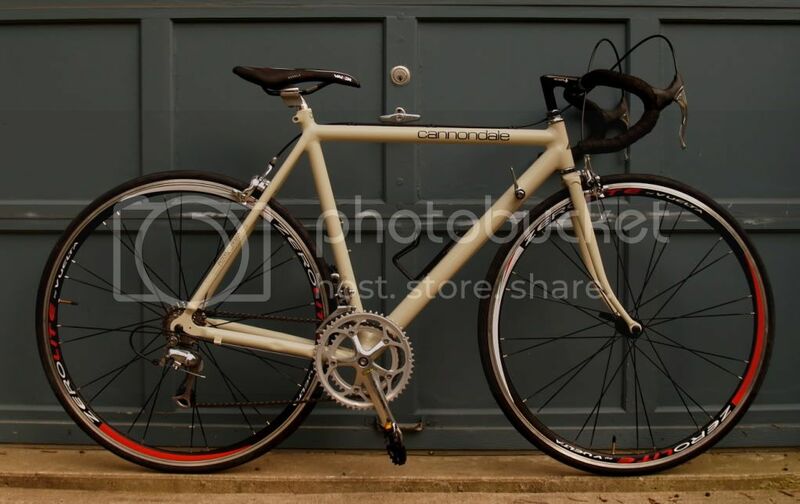 Uunngh stop....these are grail bikes for me ever since I found a mint mid 90's M500 for my brother in law's birthday, but every other one I've found local has been too small or an outrageous asking price. Seriously if anyone has an extra 25 or 27" mid 80's to late 90's touring or 22" mid 80's to late 90's M series rigid you want to get rid of, please pm me. Not your size, but here is my 1996 M400. This one is a 1987 Team Comp. A childhood friend had this one built-up when new from a frame-set. All Campy. I'm the owner since 2012. Lots of little nicks and scratches that have been brush-touched but it's a sweet ride.